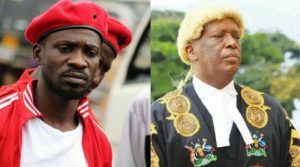 Kyadondo East Member of Parliament and musician Robert Kyagulanyi Ssentamu aka Bobi Wine has applauded Justice Kenneth Kakuru for ruling against the presidential Age Limit Amendment. 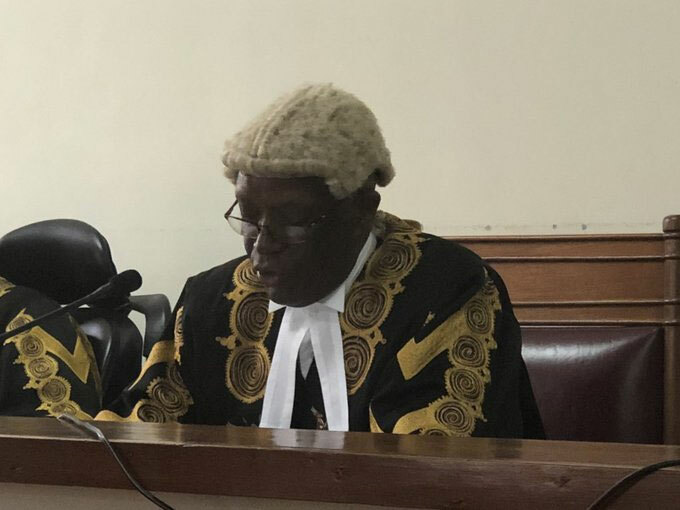 Justice Kenneth Kakuru was the only judge out of the five judges that ruled against the controversial constitutional amendment as Constitutional Court delivered the ruling on the Age Limit Petition in Mbale on Thursday. 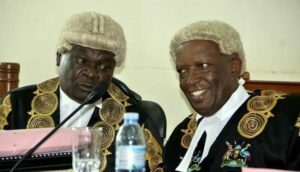 Justices Cheboriono Barishaki, Elizabeth Musoke, Kenneth Kakuru and deputy chief justice Alphonse Owiny-Dollo ruled in favor of the amendment. “It is satisfying to know that we still have some bold, couraugeous, and patriotic people in this land. Your lordship, history will judge you kindly,” Bobi Wine said of Justice Kakuru in a post via Facebook. “That the Court decided the way it did is not a surprise. I just wanted to appreciate this judge for standing tall at this point in our nation’s history. As I always say, ultimately the problems of our country may not be resolved in the courts of law or even in parliament. We the people shall have to forge the destiny of our nation,” he added. While making his ruling, Justice Kenneth Kakuru argued that Parliament defied its own rules while passing the law and did not carry out the necessary consultation with the public. He noted that the Members of Parliament consulted very few people, a size which was not representative of the actual number of voters as registered by the Electoral Commission during the previous 2016 elections. “There was no enough evidence that people of Uganda participated in these amendments. The evidence is too insignificant to constitute a meaningful participation of the people. Having said all that, I declare that the entire amendment was unconstitutional and should be declared null and void,” he ruled.